The NIS Team is made up of some of the best people in the telecommunications infrastructure industry – hand picked and highly experienced in pre-provisioning, pit and pipe installation and project management. Our aim is to provide you with an end-to-end solution to your telecommunications infrastructure needs. To do this, we have pulled together a team of highly experienced trade, design and administrative staff capable of managing your project from conception through to delivery and sign-off. Clearly seeing a need in the market for a company that could be trusted to deliver telecommunications infrastructure as promised, Angelo formed NIS in 2009. Leading the team, with a focus on residential, commercial and industrial developments, he brings over 15 years civil construction experience and a definite ‘no fuss’ attitude to the projects he works with. 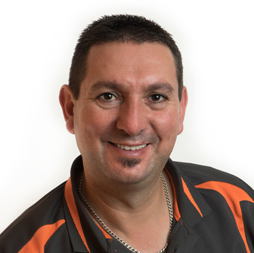 Angelo is known in the industry for his extensive knowledge of telecommunications for new developments and is who builders turn to when they want their development to be connected smoothly. Angelo is a registered cabler with OPEN registration endorsement, holds asbestos accreditation and a CertIII in Telecommunications. Rob joined NIS as Managing Director in 2014. Bringing over 30 years’ project and general management experience in the telecommunications industry, he is a ‘hands-on’ leader who will often be found out in the field with our crews making sure we deliver on time and as promised. 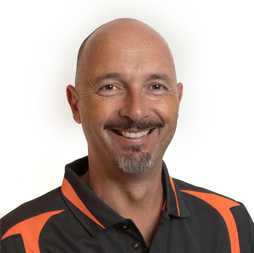 Known for his frank and honest approach to project management and problem solving, Rob draws on his extensive experience in the industry to quickly find solutions to the unexpected glitches that can arise out in the field.